Our hand-crafted European style truffles are made from the finest French and Belgian chocolate, rich cream and butter. 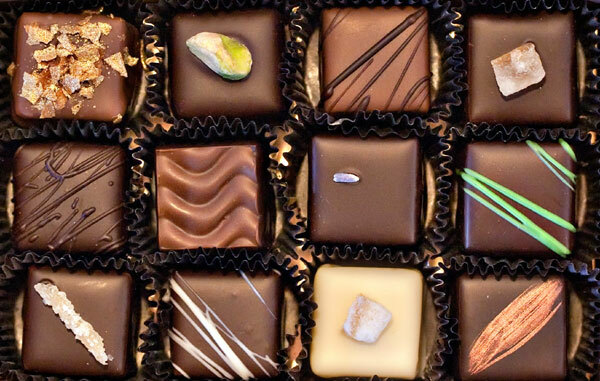 We use only the best local and imported ingredients to add complex layers of flavor to our silky ganaches, creating outstanding signature flavors such as Lemoncello, Fig, Marco Polo, Black Raspberry, Praline Feuillete and Apricot Maryse. Each of our truffles is a unique, decadent indulgence. 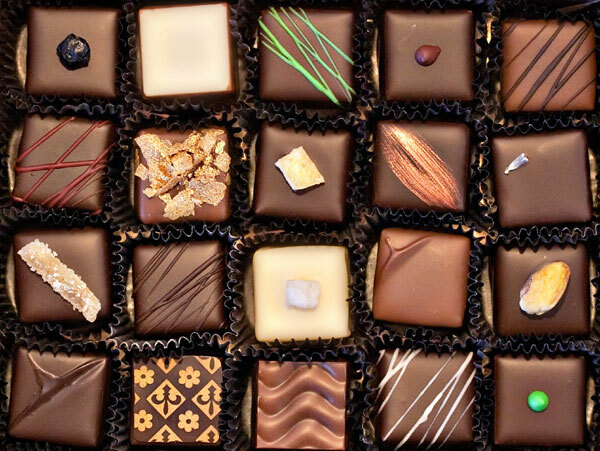 An assortment of our signature dark, milk and white chocolate truffles and Fleur de Sel Caramels, along with additional seasonal flavors (approximately 13 oz. ), each box is hand-packed and tied with a beautiful satin ribbon. An assortment of our signature dark, milk and white chocolate truffles with additional seasonal flavors (approximately 7 ¾ oz. ), each box is hand-packed and tied with a beautiful satin ribbon. An assortment of our signature dark, milk and white chocolate truffles with additional seasonal flavors (approximately 4 1/8 oz. ), each box is hand-packed and tied with a beautiful satin ribbon.